At the El Sitio Restaurant in San Pablo, Shirley Gayer sits beside her son Melvin Willis. Willis pushed his mother in her wheelchair from their home, which is many blocks away. Her wheelchair has cobwebs around the metal bars and shows wear and tear from excessive use. They don’t have a car. Gayer is a former patient at Doctor’s Medical Center, which closed its doors on April 21. This San Pablo mother and son, like many other residents of western Contra Costa County, acutely feel the closure’s impact. DMC, which provided services to the community for over 60 years, fell victim to fiscal pressures despite efforts to save it. Now doctors and patients alike are dispersed to other care centers, from LifeLong Immediate/Urgent Care center across the street in San Pablo, to facilities farther away in Pinole, Walnut Creek, Martinez, Concord, Oakland or Berkeley. The distance makes former DMC patients anxious, and worries their former doctors. “That’s in the back of my mind every day. When she is walking to the store, I am hoping she doesn’t fall down on the way over,” Willis said. Located 20 miles away in Martinez, Contra Costa Regional Medical Center is now the nearest public hospital. If patients are relying on public transportation, the cost and travel time increase dramatically. An Uber drive would be approximately $30. If a patient seeks medical attention and relies on the bus, the time increases more. If a patient falls ill at 12:30 p.m. on a weekday, it may take an hour and a half on the bus to get from now-closed DMC to the Martinez hospital. This travel time includes three buses and a walk that may strain a body weakened by age or illness. The nearest basic medical care solution for the displaced patients is an urgent care facility located directly across the street from DMC. LifeLong Medical Care, at 2023 Vale Road, treats limited medical needs. Many doctors and staff formerly employed at DMC now work at LifeLong. Migdalia Callen, a communication coordinator at DMC, worked the night shift in the emergency room for the past five years. Recalling the day DMC closed, her voice cracked. Doctor’s Medical Center was much more than an emergency department. Along with the ER’s closure, other departments treating chronic and life-threatening conditions were lost, such as its cancer center and stroke program. The stroke program helped patients such as Jim Coates. Around 8:15 p.m. on a Friday in February of 2014, Coates was sitting on his couch when his vision shifted. “I was seeing double images. I got out my wallet because trying to call an advice nurse from HealthNet, but I couldn’t read the number, so I called 911,” said Coates. The MRI of Coates’ brain showed blood clots. He was given tissue plasminogen activator, a drug that dissolves blood clots to limit any further injury to his brain. According to StrokeCenter.org, each year approximately 795,000 people suffer from a stroke. In such situations where swift treatment can save brain tissue, having a stroke program nearby is crucial, doctors say. Dr. Desmond Carson, who ran the stroke program at DMC, now provides medical services at Lifelong Medical Care. Carson spoke about the impact of the DMC closure. “Emergency services, heart attack, and strokes are where minutes matter to getting care as for long-term outcomes. People in this community suffer,” said Carson. This winter season, he believes, will bring problems for the community. “For impatient services we will start to see the devastation soon because winter increases respiratory illness rates. Flu, pneumonia, bronchitis, and asthma will all get worse,” he said. Lifelong has served the community, but there are limits to its medical treatment. “What we can do here (LifeLong) is minor trauma. If you’re in respiratory failure, any organ system failure, we cannot treat you here,” said Carson. Other doctors who worked at DMC and are now employed at LifeLong speak of the dangers of a lost second, especially when dealing with the heart. Lives depend on swift action: getting the patient off the ambulance, getting an electrocardiogram (EKG), getting a chest X-ray, doing a complete physical, and getting all the necessary materials. The next parts of the chronology include Step 1: call the cardiologist that’s on call. Step 2: feeding a line into the groin and up into the heart. Step 3: finding which vessel is clogged. Step 4: pushing the line across the clot, and putting in a stent, a tiny pipe that holds open the vessel to allow blood flow to resume to the heart muscle. The total time to complete should be no more than 90 minutes. Hodgson and her team averaged 60 minutes. As reported by Richmond Confidential and other media, DMC’s decade-long fiscal crisis was the subject of multiple rescue efforts, but in the end, cash infusions from state and local agencies were unable to save the hospital. “The closure of Doctor’s is really an indictment of a poor medical reimbursement system where federal or state medical reimbursements do not even cover the cost of providing service. For example, $10 million out of the $18 million annual loss of the hospital is due to low medical reimbursement rates,” said Contra Costa County Supervisor John Gioia. “Health care follows the dollar. When you have plenty of dollars, you have plenty of health care. Where there are no dollars, there is no health care,” said Carson, DMC’s former stroke program director. Anthony Brown, formerly an emergency room tech at DMC, added, “I think it was more red tape and political backdoor dealings. When it was all said and done, the community doesn’t have enough money to keep this hospital. So we will shut it down and count our losses,” said Brown. Anthony Brown, a former ER Tech at DMC, said he still worries about how his patients are managing to find care. The hospital closed in April. The DMC community said goodbye to the hospital with a celebratory service. “About a month after we closed we had an Irish wake for a dead hospital,” said Hodgson. During this service people wore black, there was a bagpiper playing “Amazing Grace,” and a cake in the shape of a coffin. The participants then had a eulogy. When it was all said and done, “We said it’s time to eat, drink, be merry, and celebrate each other,” Hodgson said. Correction: This story was changed on April 13 to correct the identification of Contra Costa County Supervisor John Gioia. In our original version, he was identified incorrectly as a supervisor in Alameda County. Editor’s Note: Richmond Confidential covered the history of the closure of Doctor’s Medical Center in a series of articles by Gabriel Sanchez. Thank you for covering this topic. When Doctor’s Hospital closed, it was a tragic political and moral failure. I know local leaders tried to save it, but in the end they failed. I can’t look at the closed sign and help but think about the massive failure it represents, and how many people will suffer as a result. The people who made the decision to close this hospital certainly will not feel that pain. An elderly woman approached me at a gas station on San Pablo Dam Road two weeks ago. She said she has cancer, and asked me for a car ride because she was running late and the bus was taking too long. She had an appointment to see a doctor in El Cerrito because DMC had closed! This is the kind of thing we will see more of because people did not want to pay the relatively small amount of extra taxes is would have taken to keep DMC open. The reality is that property owners already pay too much in taxes. With all the different mesassures that where approved in the past. We already pay more taxes than many other counties. We are tired of bailing out! There is no control over the money given to assure us that we won’t have to bail them out again! Yes we are tired of paying property taxes for a failing project. You bet we are. If they can’t make it sustainable we aren’t going to fund it forever. That’s exactly what happened. You cannot run a major institution without financial stability. End of an era. 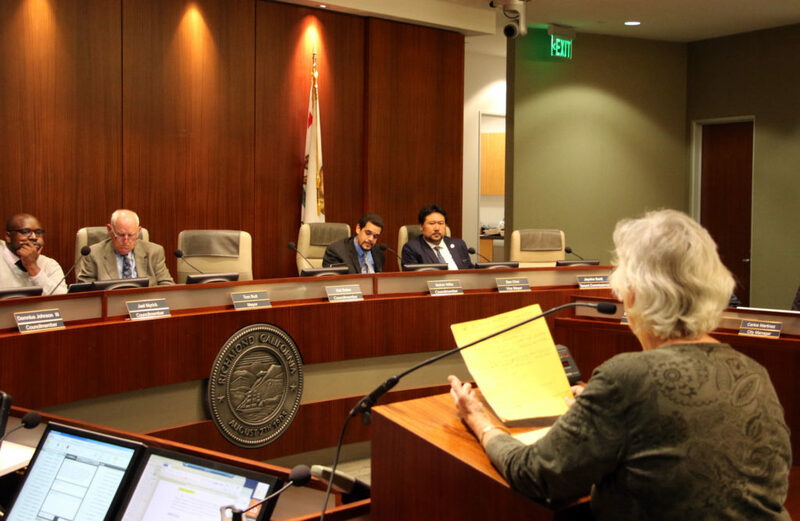 The Contra Costa County Board of Supervisors in meeting, even after hearing clearly elucidated warnings on closure impact delivered by District Supervisor Goia, went ahead and decided to not fold DMC to the County hospital system. The “poor” folks in Richmond and San Pablo got passed over for pension obligations for county employees. The metrics of hospitals also now tends towards systems such as Kaiser and Sutter Health. Independent facilities are closing state wide. With all those rent increases property owners have plenty of dough that needs to be put to a good social cause!!! Why doesn’t OBAMACARE do anything to control costs? The healthcare industry in the USA is a form of theft.